This weekend was a blast! Mission to the World (MTW) held their first ever West Coast Missions Conference at one of our favorite churches, Redeemer San Diego. 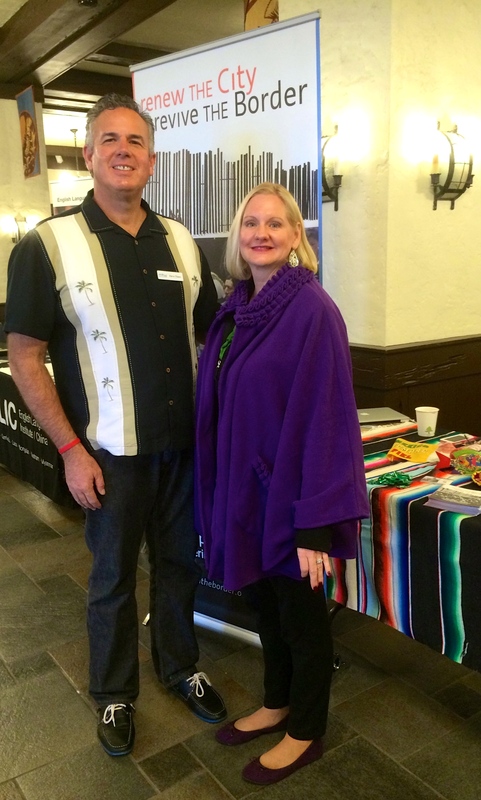 Dawn and I enjoyed connecting with all the people and telling them about what God is doing on the border and the Baja. We love to tell the story, It makes it extra special when those listening have an interest in missions. I find that I get challenged in a good way by the other missionaries and those that speak at these conferences. 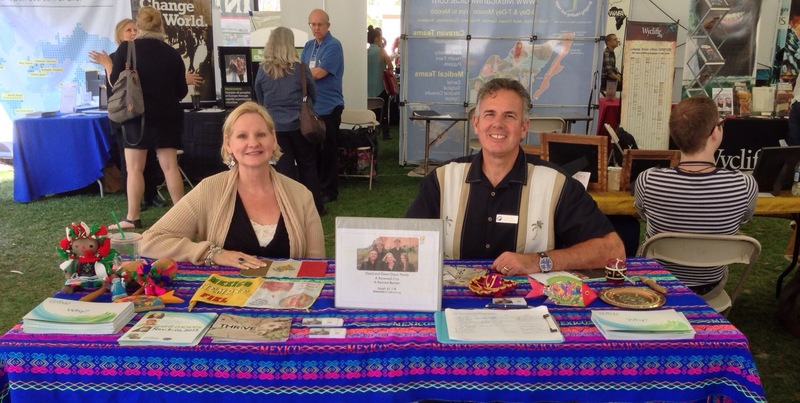 We loved having our colleagues from the MTW office out on the West coast as well as fellow missionaries. God has blessed us with some outstanding people who are committed to the great commission. What a huge encouragement to serve along the choice servants the Lord has privileged us to work with. Also, two of our team members came for the conference and they will be staying on this week, so we can get some time to pray and plan together. Jim DeWitt and Peter Boling, who are part of our team are here with us now. Daniel Nuñez from Lo Mejor del Trigo was also able to accompanying us. We are getting ready to work with Daniel and LMT to start their 24th church. 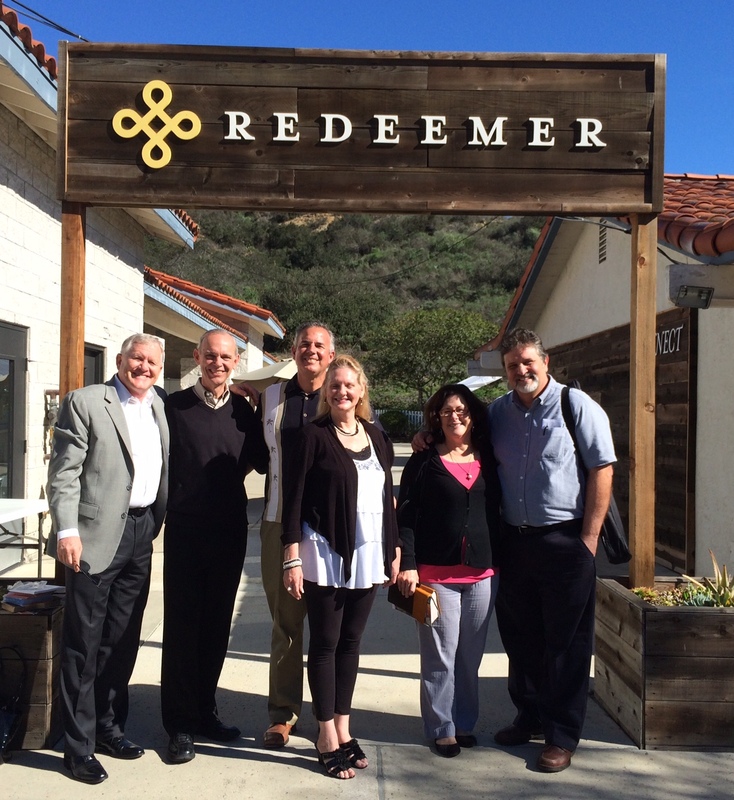 Redeemer in San Diego, who hosted the conference will be involved in the building of the new church which is planned for mid-March. Everyone enjoyed getting to know Daniel, which gives me a lot of joy! The timing of this conference was both good and difficult. It was good, because we the Lord encouraged us as we interacted with new and old friends. It was difficult, because we are in the middle of a painful trial. I don’t want to say too much on this forum, but our daughter is going through a rough time. It weighs heavy on our hearts. We appreciate your prayers we definitely need them. After a wonderful weekend at Mission to the World’s (MTW) The Spirit Moves missions conference, Dawn and I visited Covenant College in Lookout Mountain, Georgia. Covenant held their missions conference this week, and we sensed God’s Spirit as we participated in the conference. We both love the opportunity to interact with college students. It’s hard to believe that all three of our grown children, David Jr., Jon and Hannah are college age. Maybe that’s one of the reasons that we enjoy this age group. The youthful energy and excitement about living life to its fullest is refreshing. I spoke in two missions classes while we were at the college. I thoroughly enjoyed the time with the students. They expressed genuine interest as we explored the themes of cross-cultural church planting in a Hispanic context. 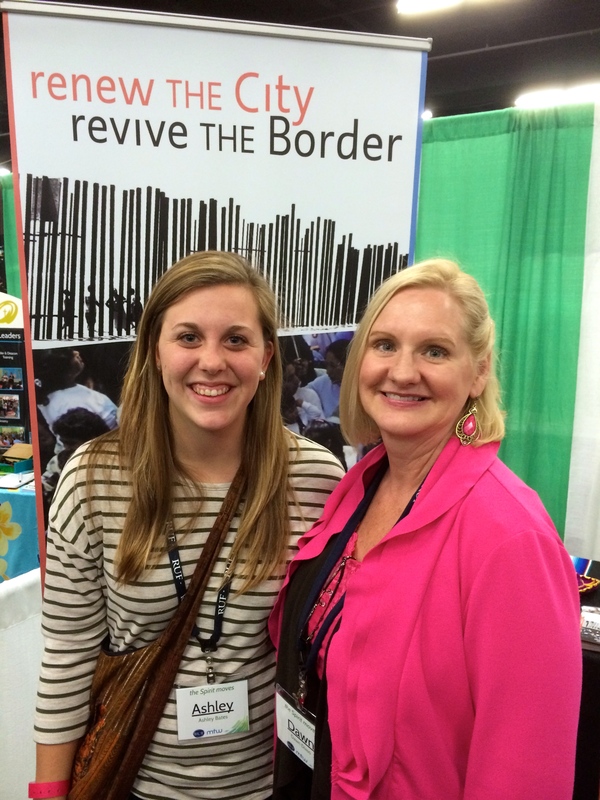 I challenged the students to consider the border as a place to minister. Some of them are praying about the possibility of doing an internship with us next summer! Pray that the Lord blesses us and the border with some good interns. Dawn and I feel led to pray specifically for workers to join us in the church planting ministry on the border. Our hope is to see the city renewed and the border revived as we serve in the bi-national city of San Diego – Tijuana. These two conferences served as a reminder of our need to set prayer goals, and that Jesus calls us to pray for men and women to join us in mission. We would like to ask you to join us in prayer for a team of 10 people. The main needs we have are for church planters, a trainer, a community development coordinator, a coordinator of short-term missions and interns. These are the main needs we have now. Our desire is to pair up MTW missionaries with Mexican church planters in Tijuana, Ensenada and Mexicali. We already have one MTW family that will be pairing up with a Mexican church planter in La Paz. God is expanding his work, and in doing so his kingdom. That is our prayer that the kingdom of God will expand on earth as it is in heaven. I mentioned in my last post that MTW has a prayer goal to pray for 150 new missionaries by 2015. Join us in that prayer goal, and pray that some of those 150 will be drawn to the border. I believe that some of the labor force will come from these young people we met at Covenant College. This is the Lord’s work, and he is committed to building his church! Last week was a very productive week of mobilizing for our work on the San Diego – Tijuana border. 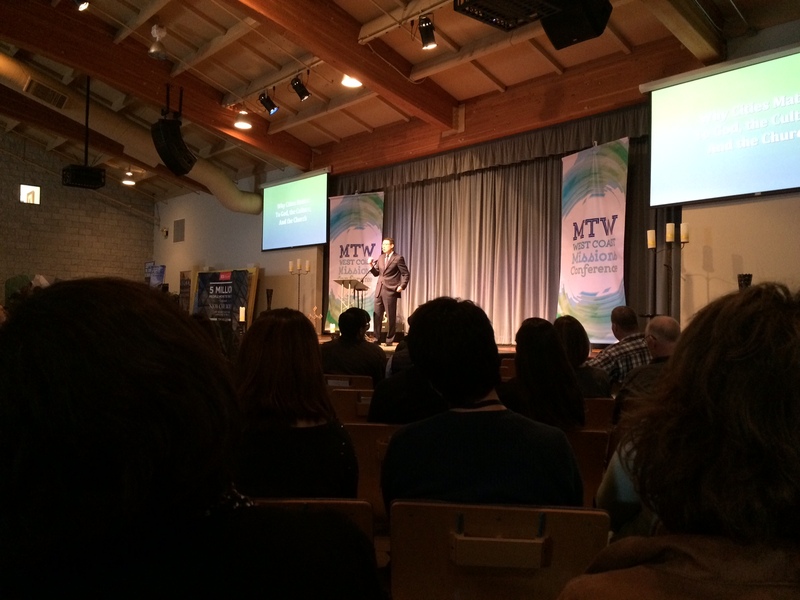 We started the week in Atlanta at Mission to the World’s vision retreat. We met a number of people there who are asking the question, where might God want me to serve? Then we headed up to Lookout Mountain, Georgia where we met with students and faculty at Covenant College. We ended the week at Biola’s global missions conference. Biola University held their missions conference this last week. They called the conference Outpouring. Since Dawn and I were out-of-town earlier in the week we were only able to attend on Friday. Unfortunately, on our way up to Biola, which is in Southern Los Angeles we encountered a huge traffic jam leaving San Diego. Even though we left at 6:00 AM there was an early morning traffic accident that closed down the 805 freeway. I must say that I did get a little impatient. Believe it or not I have not yet mastered patiently waiting in traffic when I feel that we need to be somewhere! 😉 I’m hoping it’s not something I get too much experience in. Despite the slow down we did make it to the conference, just a little later than we hoped we would. Dawn and I had a good day at Biola. Even though we were only participated on the last day of the conference, it was a fruitful time. We connected with some students that are exploring opportunities to go on mission with God. The students are especially interested in summer internships. We love the opportunity to invest in the lives of young people. Who knows what the Lord will do when we plant and water for his kingdom? 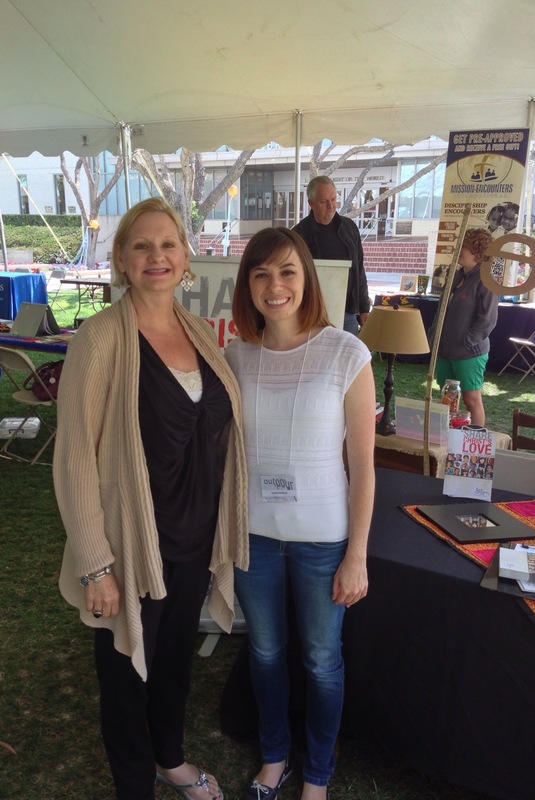 Biola put on a big conference which attracted a number of students and other missions organizations. It was enjoyable to connect with new and old friends from the other missions organizations. They have some great ideas, so we can learn from them. In all, it was a very fruitful week. Dawn and I love connecting with people, especially those that have a heart for the world. There are already some students that have talked to us about a summer internship. We are also following up with a few young families that are interested in pursuing a longer term of service on the mission field. God is moving on the border, and he is opening doors for us to walk through. Thank you Jesus, continue to guide and lead. Bring us those workers that you want to serve with us!